Believe it or not, even as a Reiki Master, there are times I wonder how Reiki works, sometimes IF it works. During those times of doubt, even if few and far between, all I need to do is remember the many times it’s healed the birds that either live in or have found their way to my yard. 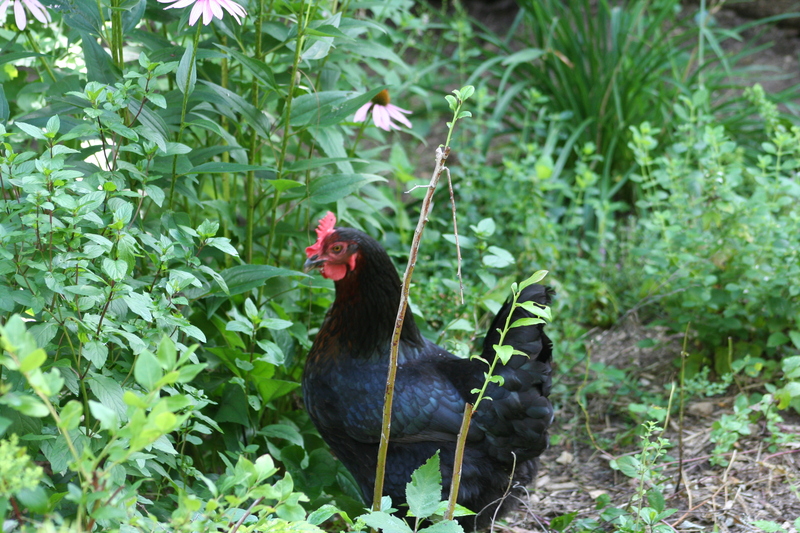 At any given time we have anywhere from 5 – 30 chickens roaming happily about the garden and the woods. They scratch and peck and chase bugs, ever content. When you have chickens for long enough you learn their language. It becomes easy to know when one is not feeling well. They don’t say hello when you walk out to freshen the water or give them a snack. They don’t follow the flock to look through the foliage for goodies. They don’t eat or drink much. We love our chickens and when one of them doesn’t feel well it’s no different than if a member of our family is feeling under the weather. The first time we had a sick chicken was a couple of years ago. Her name is ‘Big Bertha’. When she wasn’t feeling well she’d spend the day standing in the corner of the coop. She wouldn’t eat, wouldn’t talk and didn’t head up on her perch at night. It was about 3 days of watching her and understanding her before I gently picked her up, held her on my lap and began giving her Reiki. The two of us sat together in the sunshine for close to an hour. I sent her Reiki and she slept in my arms. When we were done I placed her back in the coop and waited. It was no longer than that next morning when she started eating again. By the afternoon she was roaming the yard with the other girls. By the second day she was back up on her perch at night. By the third day she was nesting on her eggs. Just this summer we had Goldie go through a spell of not feeling well. Reiki gave her the same result. Within 24 hours she went from staying in the coop all day, not eating and not perching to eating, roaming with the girls and was back to saying hello when we approached. Lastly, a couple of weeks ago, I was out in the garden and noticed a raven in the yard. I don’t know if you’ve ever watched a raven but, in my experience, they don’t spend a whole lot of time lounging on the ground unless perhaps to eat something. This raven was just standing there. I slowly approached her. She didn’t move. She just stood there staring at me. When I got a few feet away she slowly made her way into the woods and laid down next to a fallen tree. I walked over and crouched down beside her. She didn’t squawk or move. When I reached out to touch her she didn’t flinch. I sat there with her for 30 minutes or so and sent her Reiki. When I was done I went and got a dish of water and a handful of chicken food and set both next to her. When I came back about an hour later she was drinking and eating. I left her alone. When I returned in another hour she hopped up on the log she was resting by, gave me a squawk and flew away. It was beautiful. So whenever there is any doubt I think of my feathered friends and that doubt flies away like the raven. This entry was posted in Reiki and tagged Birds, Chickens, Reiki. Bookmark the permalink.